Essential oils are oils extracted from plants. They are called essential because they are derived from the essence, metaphorically referring to the smell, of the plant. These oils are volatile and evaporate rather quickly. It is important to remember this aspect when storing essential oils—an improperly screwed on cap can lead to a loss of the oil. Essential oils can be used for a wide variety of things, from making a room smell nice to holistic medicine. Essential oils, like real vanilla extract, are often diluted. If you find an essential oil that seems too cheap to be real, it is probably too good to be true. 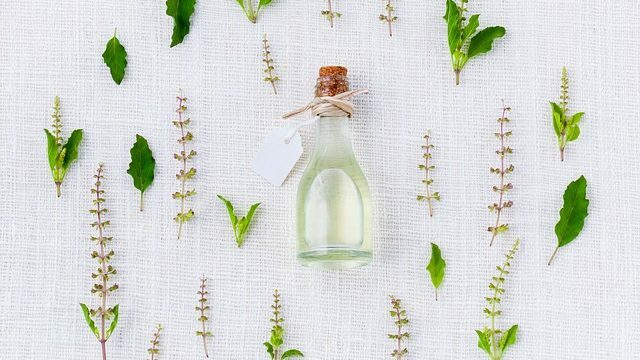 While essential oils range in pricing like anything else, true essential oils tend to be more expensive than the fakers. To get an idea of a range of what you should be paying for an essential oil, look up prices on a wide range of online retail shops. Seeing many prices should give you an idea of the true cost of the oil you are trying to buy. Some essential oils, like rose are more expensive than others. Citrusy essential oils, like lemon, orange, or grapefruit, tend to be cheaper. If you’re budget conscious, we recommend starting off with those as even cheaper citrus essential oils can still be relatively good quality. There are thousands of uses for essential oils. Each different scent, or extract, of essential oil has its own range of uses. For example, it is well known that lavender essential oil can be used for a calming or relaxing affect, while peppermint essential oil can be used to stimulate the brain and promote energy and alertness. If you want to use essential oils for their scents, we recommend purchasing a diffuser. Diffusers come in a wide range of prices, and you can also get ones that have timers, lights, and more. A diffuser will help you get the most out of your oils, which can be expensive. In addition, studies have shown that rosemary essential oil can stimulate hair growth. You can apply rosemary essential oil directly onto your scalp, or you can add it to your shampoo to experience the benefits.